If you’re on the hunt for a discounted MINI vehicle in Escondido, you’ll want to choose MINI of Escondido. Here, we have 1 MINI cars that qualify for our executive demo specials. How does a MINI vehicle qualify for executive demo special, you may ask? It’s simple! Our executive demo specials are gently used, extremely low mileage, and generally within the 2017 to 2018 model years. Basically, our executive demo specials are like-new vehicles that’ll upgrade any Carlsbad ride. Ready to test drive one of our 1 deals? Simply contact us today! 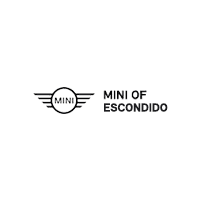 There are plenty of reasons why drivers from San Marcos to Temecula choose MINI of Escondido. For one, our extensive inventory of new MINI and used MINI vehicles ensure that you’ll always have a massive selection of luxury British hatches from which to choose. Second, our well-trained staff of service experts will keep your MINI vehicle in excellent condition – whether you’re in need of MINI tire consultation, simple routine maintenance, or just an oil change. And third, we’re a community player! In following our blog, we’ll keep you up-to-date on the latest news taking place in the greater Escondido region. Ready to take advantage of our fantastic deals on MINI vehicles? Calculate your payments online and then apply for financing today!